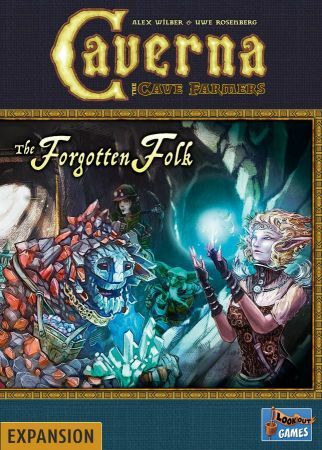 Caverna: The Forgotten Folk is being released in the US as we speak. It's an expansion for Uwe Rosenbergs behemoth Caverna, and one interesting thing is that it originated as a fan project on BoardGameGeek, and Caverna publisher Lookout Games decided to work with the designer to develop this material and release it as an official expansion. Pick up the expansion here. Recomended price: 40 dollars/euros. Don't have the base game? Pick it up here. Should be around 70 dollars/euros.